Gain an understanding of the dangers and associated safety requirements in High Voltage Substations and Switchrooms with our City and Guilds Accredited Programme. Book now by choosing your programme date. For more information call us on 01642 987 978 or email training@pass.co.uk for more information. No previous experience needed – open for both electrical and non-electrical personnel. Anyone attending training should also have a good level of both spoken and written English. This training programme is designed for electrical and non-electrical personnel who need to enter high voltage substations, or switchrooms as part of their work. As a safe entry programme, this training is designed for those who will not directly interact with HV equipment inside the substation or switchroom; it is ideally suited for those who may enter to undertake specific duties such as reading meters, cleaning or painting etc. 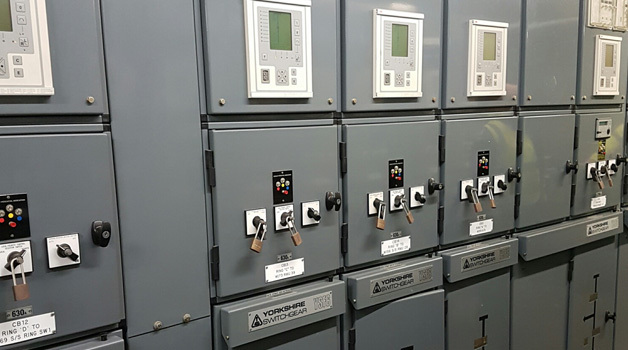 Safe Access to HV Substations and Switchrooms is designed to give you an understanding of the dangers and associated safety requirements within these environments. It will focus on electrical hazards, different types of HV equipment and the precautions you should take to prevent danger to both yourself and others. This high voltage training programme also covers the arrangement of equipment within substations and switchrooms, steps to be taken in an emergency and various other associated elements. There are no formal entry requirements for this programme. A basic understanding of electricity and high voltage equipment is beneficial, but not essential. Anyone attending training should also have a good level of both spoken and written English. Not sure if you’re right for this programme? Just call the training team on 01642 987 978 and they’ll be able to answer any of your questions and concerns. To train to safely work with high voltage equipment, you need a realistic simulation of the actual conditions you’ll face when working. The PASS high voltage training centre has been designed to give you this experience, with authentic switchgear, transformers and other HV equipment for you to work with during your programme. Our programmes are led by our experienced HV training professionals, each of whom has worked for several decades in the HV industry. When you’re not out performing practical tasks in the HV centre, you’ll be in our classrooms learning the important theory behind your programme, or relaxing in our canteen for your provided lunch. The PASS HV training centre is in Stockton-On-Tees, which is situated in North East England. It’s within easy access from all major motorways such as the A1 and A19 and is excellent for anyone travelling from Sunderland, Durham, Newcastle and the surrounding area. If you are travelling from further away or overseas, we can help you with finding a place to stay during the programme and ensure you have everything you’ll need during your stay. Why not take a look around our fantastic new facility with a guided 360° tour.